Hi everyone, it's Brandy from Goodstuff Mama. I'm excited to share my morning craft with you. 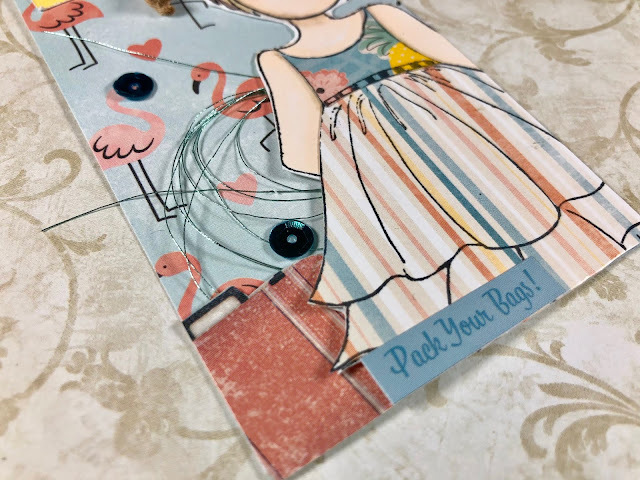 In the past few weeks, as summer wrapped up, I’ve used the Bo Bunny Escape to Paradise I Want it All bundle until it’s almost gone, leaving me with scraps of gorgeous papers and embellishments - this kit has been well loved. 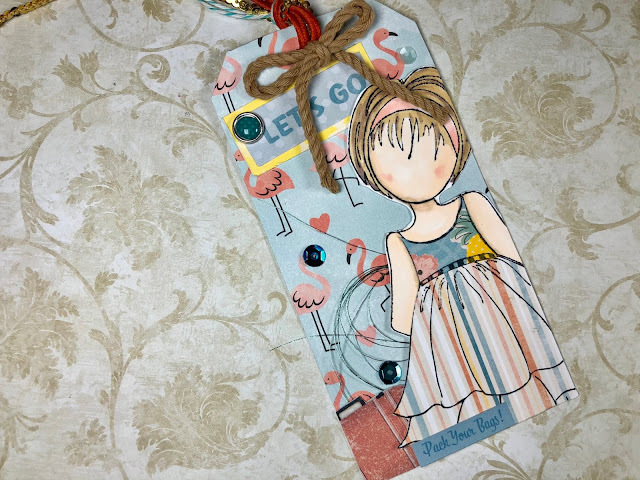 I'm a scrap saver though, and I don't always find a way to put those scraps to use, but today there was no trouble creating a tag using remnants of the 12X12 Escape to Paradise Paper, a few remaining embellishments and stickers coupled with a Julie Nutting Mixed Media Doll stamp. I love stamping these dolls on patterned paper to create outfits for them, though you could choose to color the clothing instead, using scraps of paper really helps to coordinate your piece. The flamingo paper in the background of this tag has been my favorite paper to play with in a long time - it's been fun to watch how many different things I can incorporate Flamingos in to. 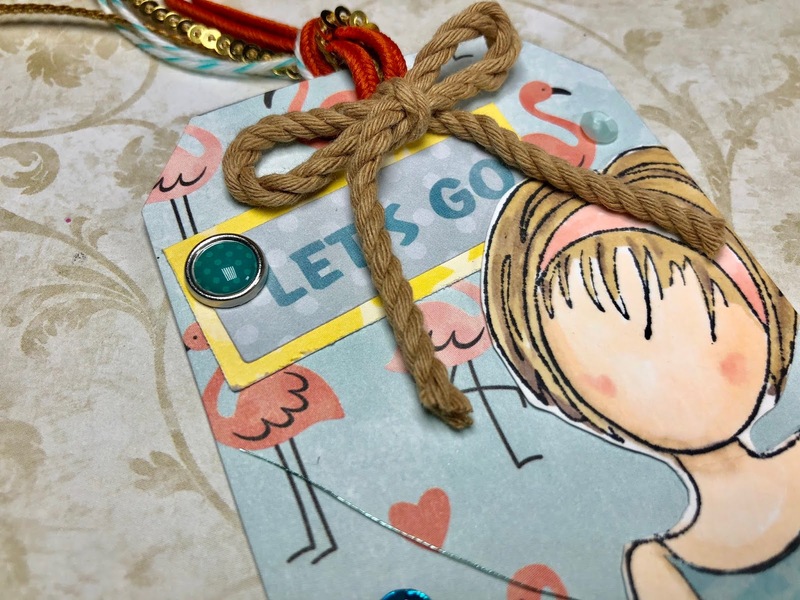 Brandy this is a gorgeous Tag! Love this!